For a full list of all products mentioned in this video, keep on reading! April Hits and Oh God No's 2014! 17 Responses to HUGE MAKEUP HAUL ⋆ Sephora, Kat von D, MAC & More! Hey Nikkie, great video! Your makeup is always flawless! 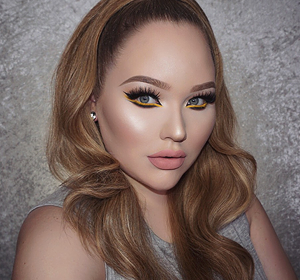 :) I’ve been watching you for a few years now and at the end of your videos you always say, “You can find me on twitter, facebook, and instagram, that all is Nikkietutorials”. I know that everyone knows what you mean, but it would make more sense if you said, “That’s all at Nikkietutorials” or “That’s all under Nikkietutorials”. Just a minor thing but since no one else pointed it out I thought I would. I hope I’m not coming off as rude! Hope you have a great day! I’ve been watching your videos for a while and I love it so much! They’re always so much fun! Hij Nikkie, I’m from Belgium. First of all, I love your tutorials!! You’re always so funny and you come across so real and genuine. 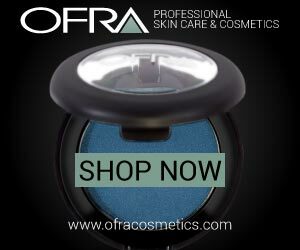 What I would like tot know is: do you know other websites besides sephora.fr to order from? Because I really want the Too Faced Hangover primer but it’s not available at sephora.fr. Maybe a new idea for a tutorial about the websites where you shop :)? Wauwie, on witch site do you buy these?? Because i can’t find it!! And i really want the liquid lipsticks!! I think the Essence lipliner in Honey Berry is a pretty close dupe for MAC Fashion Revival, on my lip at least! And for 1 euro it can’t really hurt to try haha. Colourpop also has a dupe, but I forgot which one hmm. hey there! But where did you get the ColourPop stuff from? As far as I know they don’t ship to Europe? I was wondering exactly the same thing.. I’m from France and I’ve looked all over the internet but I can’t find another website that colourpop.com that sale their products..
Did you find any since you posted that comment ? You look awesome as always. Where to buy Anastasia when living in the Netherlands? Hello, can you do the swatch of all your anastasia beverly hills lipstick?